It is a large single story brick and cinderblock structure, running north/south. The main office is located at the southern end, the railroad car/bar and patio in the middle, and the grill and seating area at the north end. The bar is an old Santa Fe Railroad car. This was an RV camp site with an on site bar and grill. 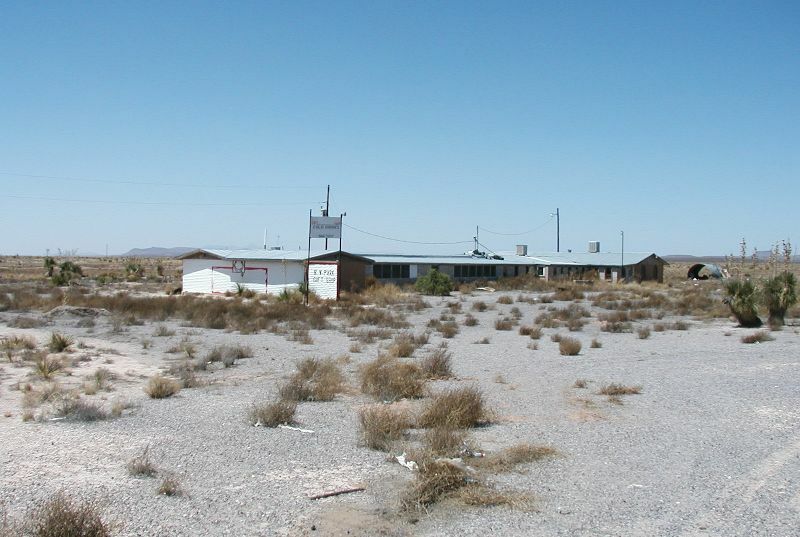 The bar and grill operated for several years, but due to the harsh desert environment, the RV park never really took off. The owners struggled through for awhile, but finally closed the doors and walked away. This part of New Mexico is growing slowly, so it is possible that something will open here in the future. This location's validation is current. It was last validated by 2Xplorations on 2/10/2018 2:45 AM. This page was generated for you in 93 milliseconds. Since June 23, 2002, a total of 574078610 pages have been generated.